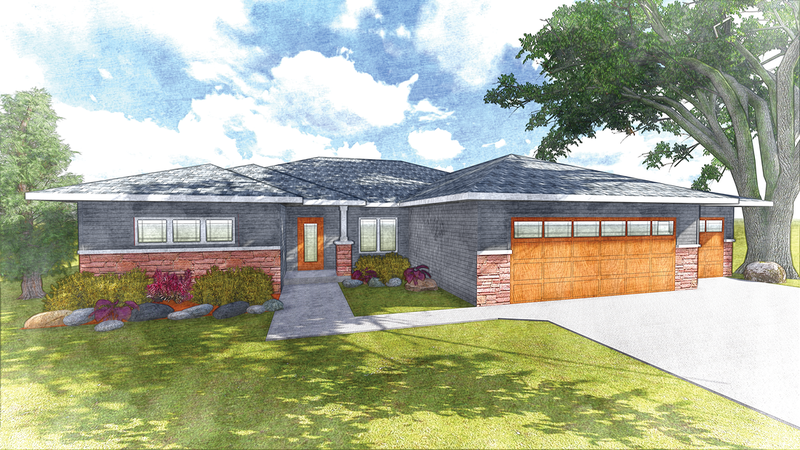 This four bedroom, four bath chic prairie-style home bursts of style. The home features an open concept with plenty of natural lighting, accentuating the natural hickory floors. It boasts an open floor plan, showcasing a split-bedroom layout on the main level, with each room featuring its own bathroom. With one bedroom as an “in-law suite,” guests are sure to feel at home during their stay. The homeowners will enjoy spending time on their beautiful 3-season porch, appreciating the peacefulness that comes with living in The Ridges development. The finished lower-level includes the fourth bedroom with walk-in closet, family room, and a fourth bathroom.